Stainless steel, set consisting of two boards, pipe diameter 50 mm with treads in resistant plastic, incl. Component Test Report. 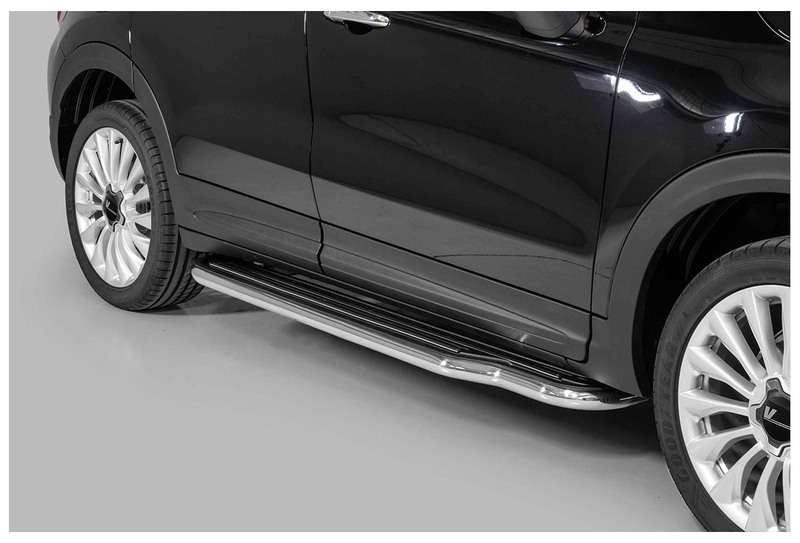 The installation of sill pipes and running boards takes place at the existing points of the vehicle. 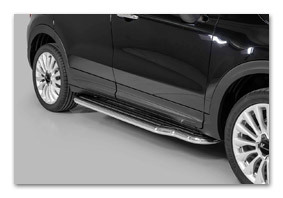 Depending on the vehicle manufacturer, model and version, measures may be required on the vehicle. These include small cutouts on plastic parts in non-visible areas as well as holes. A vehicle-specific assembly instructions and mounting material are included. The limitations and installation instructions listed in the report are to be observed. Mounting approval through an inspection authority is obligatory and can result in additional costs. Extra shipping charge for extremly large or heavy items within Germany. This surcharge will be charged once per order. Shipment for international orders will be calculated and advertised in the course of your order process individually.